This is nice and convenient little handbag made from pleasant fabric reminds suede. It has pretty color which makes it look like wide summer fields covered by grass. So embroidered sample used for its decoration is very suitable for this work piece. 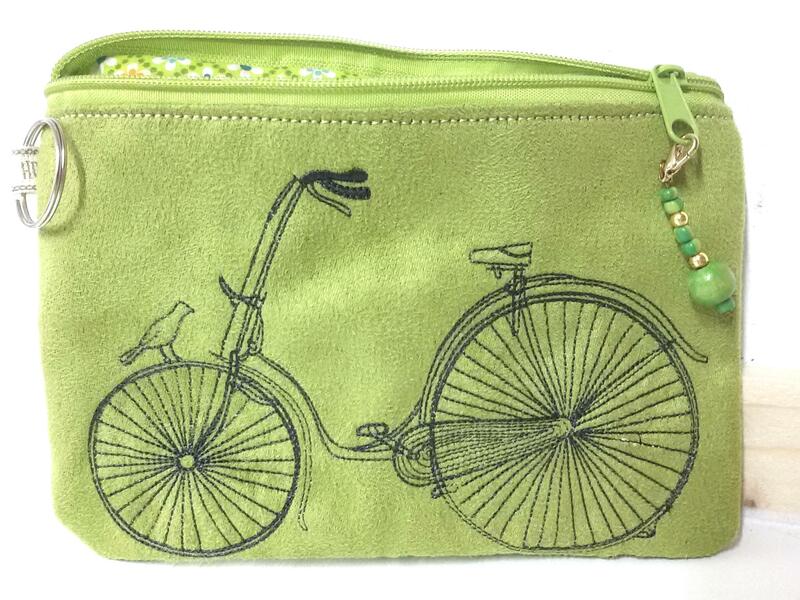 It is made on base of Book shelves and bike sketch embroidery design. But look how creatively author changed original picture! It is almost half of it removed.